Will the real Taylor please stand up? The pop star is lost in the mix on her latest LP. Taylor Swift’s Reputation era has been a rollercoaster ride. On the one hand, it sold a whopping 1.2 million copies in its first week. On the other, it received mixed reviews and hasn’t really made a dent on pop culture. At least, in comparison to the all-conquering 1989 era. Part of the problem has been curious single choices. “Look What You Made Me Do” was something the 28-year-old needed to get off her chest (and provided her with the perfect vehicle for a shady video), but it is a non-song. 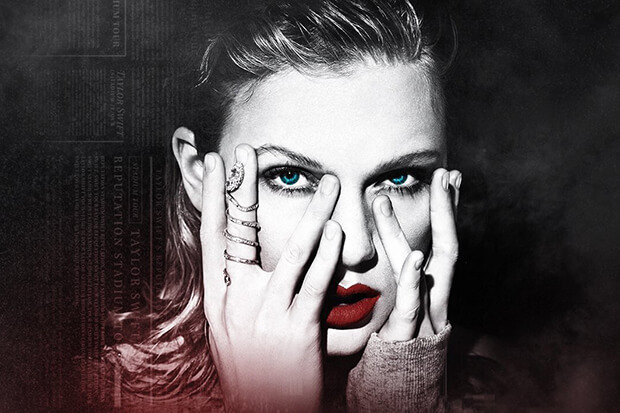 The same applies to the borderline unlistenable “…Ready For It?” and corny “End Game.” However, there are some good tracks on Reputation and “Delicate” is one of them. Wisely, the Max Martin/Shellback-produced electro-pop love song is being rolled out as the album’s fourth single. It impacts pop and adult contemporary radio on March 12-13 and has every chance of connecting with listeners in a way that the album’s previous cuts didn’t. Check it out below.